ATH3632 36" 36"L X32"Width 3.5"-5" Rise 19 lbs. 600 lbs. This is the perfect ramp for doorways that are not perfectly even or where the rise is not an exact match to normal threshold ramps. 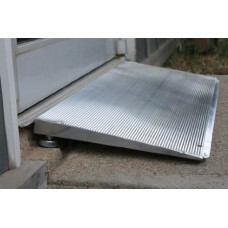 There no longer is a need to hope that the threshold ramp you are ordering will fit. Now, order the appropriate height, and adjust it for a perfect fit. Multipurpose Design: Designed for doorways that swing out or in and sliding glass doors. Adjustable to fit range of threshold rises. Adjustable to the perfect flush level. Great for older homes with uneven thresholds. 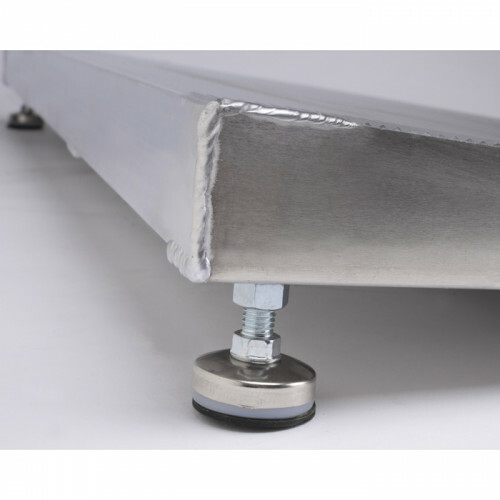 Slip resistant grooved aluminum provides great traction for indoor and outdoor use. 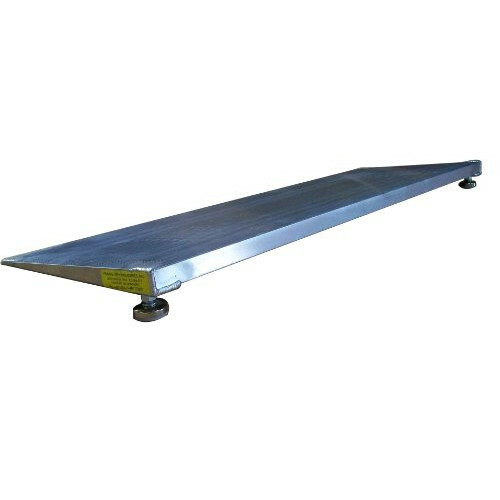 32" and 36" Platform Width provides excellent stability fitting all wheelchairs and power scooters.